One of the concerns about the up-and-coming total solar eclipse is the weather experienced along the path of totality during the month of March. 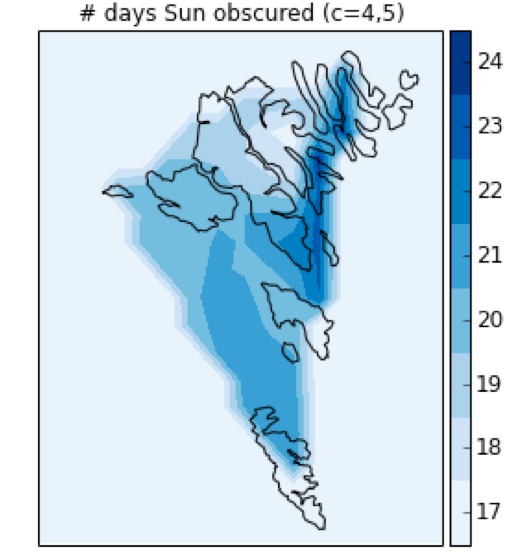 Existing weather statistics for the Faroe Islands taken from Vagar Airport collected over the past 20 years show that there is a high occurrence of cloud in March, and a high occurrence of precipitation. However, there are two main problems with using this historical data for eclipse planning. 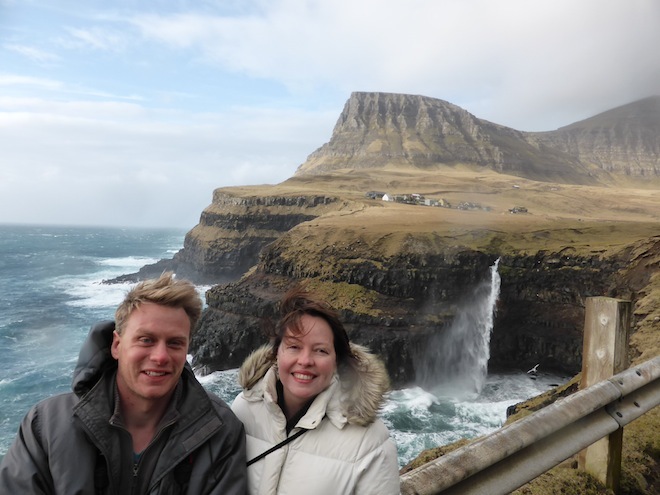 Firstly, the average weather statistics at one location in the Faroe Islands tell us nothing about the circumstances at locations across the islands. And secondly, the average monthly weather statistics tell us little about weather at ‘eclipse time’ – from 8.40-10.40am. For these reasons, I participated in a Citizen Science weather project in March 2014, exactly one year before the eclipse. Dr Geoff Sims – Australian Astrophysicist, Eclipse Photographer and fellow chaser – led the project. Citizen science is where researchers involve the community to collect data to answer a specific question. In this case, we wanted to know what the weather was like at eclipse time, for the month of March, at various locations across the islands. A number of locals took photographs of the Sun every morning at 9.40am (the time of totality) from their home or work location. These photographs were then rated using a 5 point scale, from clear skies to completely overcast. The observations were also compared with the six-hour forecast to determine accuracy of predictions. The six-hour weather forecasts were not entirely accurate, with cloud appearing when clear skies were forecast, and some visibility where full cloud was forecast. Spatial map capturing the frequency of days in March 2014 where the cloud covered the Sun at 9.40am – totality time. Note that darker regions denote more cloud. A full report of this citizen science project was published in the December 2014 edition of The Journal of the Royal Astronomical Society of Canada. An overview was also published by Geoff for Astronomers Without Borders. The results of this citizen science project confirmed my own direct observations of where to focus eclipse viewing in the Faroe Islands. It also confirmed the anecdotal views of local people. Citizen science projects do have some limitations. However, this project allowed us to gather information about a practical problem in a way that was quick, inexpensive and which involved the local community one year in advance of the total eclipse. Despite all this, we will still be very much at the whim of Mother Nature on 20th March 2015. We can explore historical climate patterns, but as the saying goes, climate is what we expect, and weather is what we get.